A digital mailroom captures or converts into digital format all incoming business documents – paper, emails, faxes, indexes them and stores them securely. Organisations receive thousands of documents everyday in multiple formats – paper, fax, emails, PDF, XML (Extensible Markup Language) and EDI (Electronic Data Interchange) resulting in disparate systems using manual processes with often high invisible costs. To first understand how a digital mailroom might benefit an organisation we need to know what it is or does? 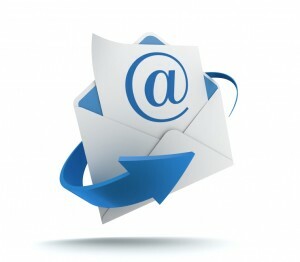 Why implement a digital mailroom? Accuracy, faster and cost effective which helps organisations remain competitive and regain focus in the current global economic climate. 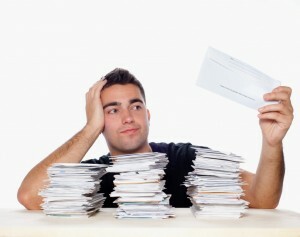 With mail volumes growing at an exponential rate and I include ALL types of correspondence not just paper based and with companies having mobile work forces and various regional offices it makes sense to convert all incoming correspondence and communication into a digital format for distribution. Instant communication accurate information and distribution of this information is vital coupled with the compliance and accountability that companies invest in back up systems, document scanning and storage and compliance solutions all of which are time and money. A digital mailroom automates the process of distributing incoming documents in to a document management system. A workflow process notifies the user or group of the existence of the document so that they are able to control the processing of this document to its completion. An additional workflow process is then created to let the sender of the document know that it is being dealt with. Once allocated the document is then moved into the correct folder within the document management system which contains all other relevant information and documents. Management information from incoming documents and thier current status within the business is available. What benefits can be derived from implementing a digital mailroom? Turning all incoming paper mail, faxes, electronic mail into images reduces operational costs, reduces manual processes and provides instant access to documents by employees irrespective of where they are located. Decision making processes are quicker because information is accessible faster. Reduced paper storage and archiving costs by encouraging employees to do without paper for example reducing printing and copying of documents. Minimal distribution of paper based mail. Creating digital images of incoming mail and establishing a workflow process ensures the document can be tracked through its life cycle. A scanned document is accessible by authorised users and can be referenced to other relevant documents in the document management system. The security of the process guarantees the authenticity and integrity of the document which aligns with the records management policy of the company. Many companies believe that they are legally obligated to archive documents in paper format for a certain amount of time such as accounting and contract documents. Legal admissibility of scanned documents is still perceived as an issue for many businesses because they want to avoid risk at all costs. 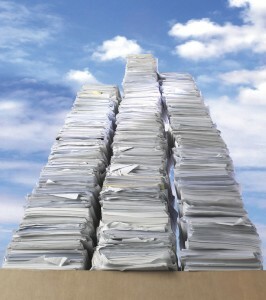 It is the reason why businesses rely on costly paper based archiving and storage. But the reality is that only a small minority of documents are required to be paper based and most digitised documents are legally acceptable in a court of law. Digital Print Management provide print management solutions designed to reduce costs. For further information call us on: 01234-271156. You can also follow us on twitter, like us on facebook and connect with on linkedin for all our updates.